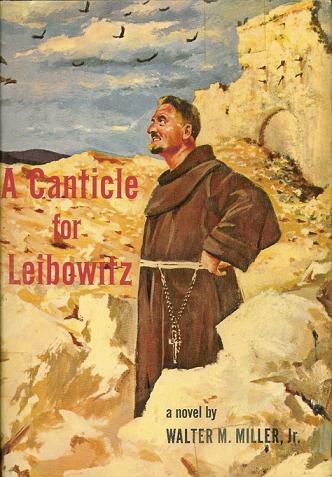 A Canticle for Leibowitz is the only novel completed by the American science fiction writer Walter M. Miller, Jr., who also wrote several dozen short stories. 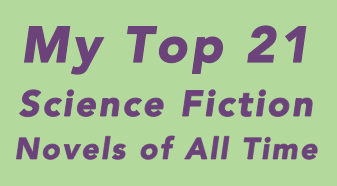 Today it is generally considered a masterpiece of dystopian science fiction, and tells the story of a post-apocalyptic civilization rebuilding itself over thousands of years after a nuclear war, through the eyes of the monks of a fictional religious order. Over the course of the novel, the Albertian Order of Leibowitz conserves and safeguards the few remnants of scientific knowledge against the day when humanity is once again ready to receive them, much in the way Irish monks preserved knowledge and manuscripts from the ancient world through the dark ages. It’s a stirring and moving read. Miller served as a tail gunner during World War II, and participated in the bombing of a Benedictine monastery in Italy. This was traumatic and pivotal for Miller, and he later became a pacifist and converted to Catholicism. Towards the end of his life he became reclusive, suffered from depression, and in the end committed suicide a few week’s short of his 73rd birthday. Science fiction writer Terry Bisson finished the manuscript of the sequel Saint Leibowitz and the Wild Horse Woman that Miller left nearly complete at his death, which was published posthumously in 1997.